I made two pumpkin pies this past week. The first pumpkin pie I made had NO flavor. Something about the pumpkins I used (organic sugar pie pumpkins), just made the pie taste like… well, nothing. It was gross. Thankfully my family is very nice and pretended like it still tasted okay. So I delved into the world of pumpkins to try and learn what makes a pumpkin taste good, and what makes it have no flavor. 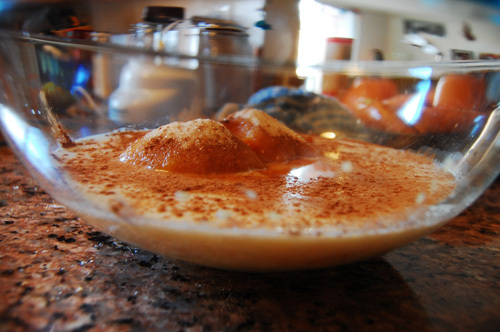 After my experiment (see Pumpkins 101), I had to figure out what to do with the pumpkin puree. I certainly wasn’t going to waste it. I also needed to figure out what dish to bring to Pennsylvania to celebrate with my future in-laws. Recently, Dan’s father had mentioned how much he liked bread pudding. 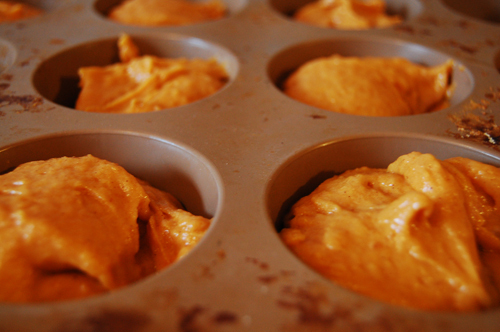 And since I was making a pumpkin pie for my family, I figured I’d branch out a little and make pumpkin bread pudding. 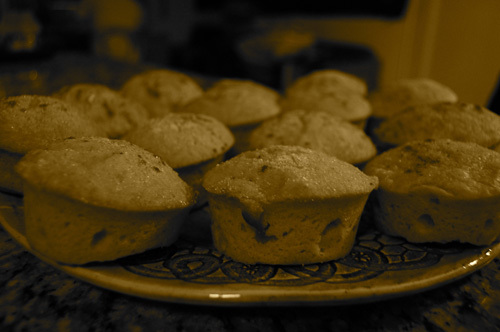 I started with my traditional bread pudding recipe. 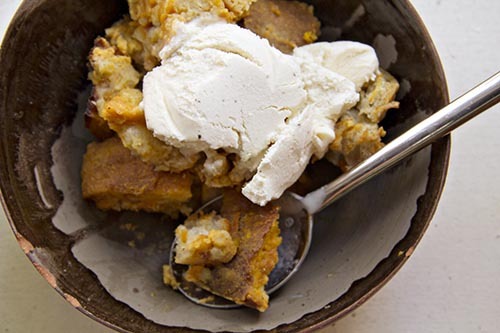 Now, bread pudding is not something that my family is huge on. So really, I don’t often have the opportunity to make it. A few years ago, while I was in AmeriCorps, I was working in a full time office building, catering to the Baltimore AIDS community. When my coworkers had birthdays, I would bring them in the cake of their choice, because I like making cakes and I like the attention of people enjoying my cakes. I did, however, have one coworker who didn’t like cake. He only ate pumpkin pie and bread pudding. He also called me Misselenious (It started as Miss Elena and digressed), so he was one of my favorite coworkers. For his birthday, which was well past pumpkin season, he requested bread pudding. 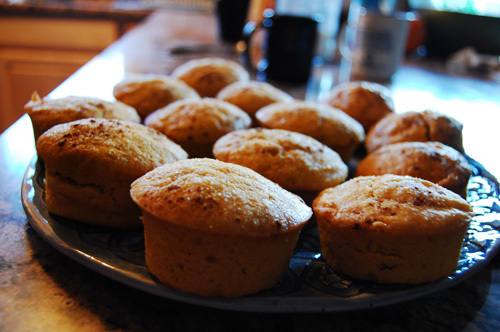 So, I learned how to make it, which left me with a wonderful recipe that I never use. So now I have a new opportunity. I did make some tweaks to my recipe. 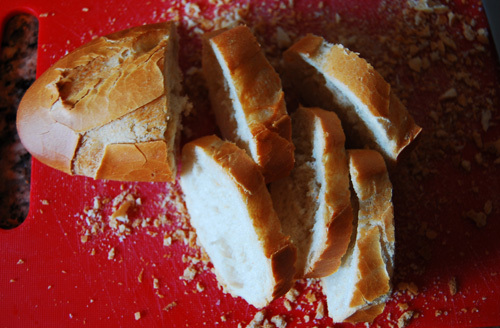 I swapped the whole grain bread I normally use for a loaf of french bread. 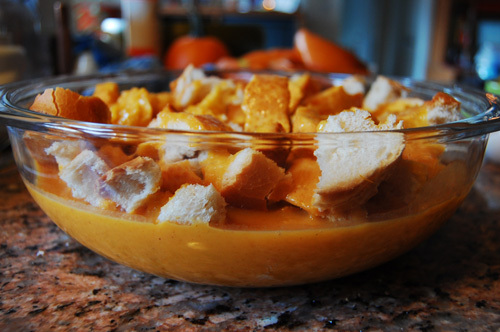 In order to make it pumpkin bread pudding, I simply whisked the pumpkin puree in with the milk and other ingredients. 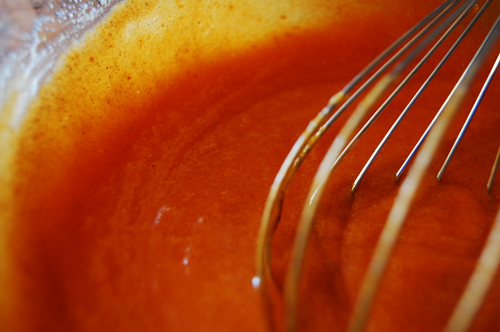 Sort of like baking honey into a pie crust, infusing one ingredient with a flavor enhancer makes it pretty easy. I also left out the raisins. For two reasons. Frankly, I don’t like raisins. And I didn’t think that it would be that much of a compliment to the pumpkin. And I really don’t like raisins. Preheat your oven to 350*. 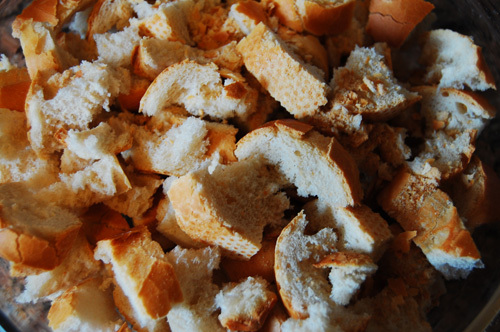 Break bread into small pieces and place in pan. Drizzle butter over. 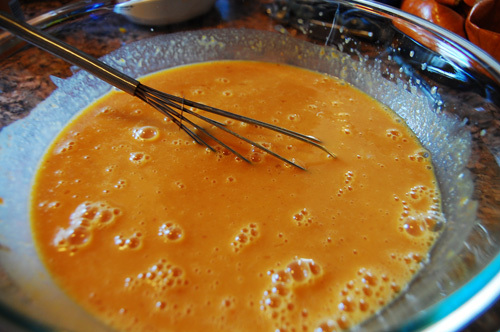 In a separate bowl, whisk together egg, milk, puree, sugar, spices, and vanilla. Beat until well incorporated. Pour over bread. Do not stir. Bake for 45 minutes and serve warm. So, this isn’t a recipe so much as a tutorial. And it is inspired by the fact that recently I served one of the most tasteless pumpkin pies I’ve ever made. And I don’t mean tasteless as in not so classy, I mean flavorless. It was horrible. 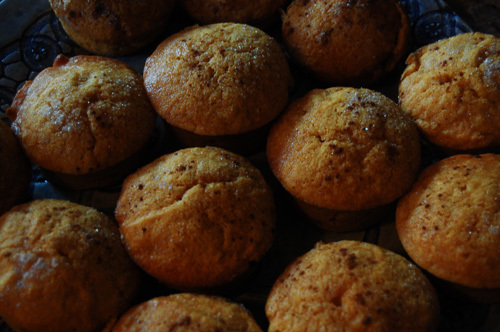 And I didn’t do anything differently to my recipe, the only variable was the pumpkin that I pureed. 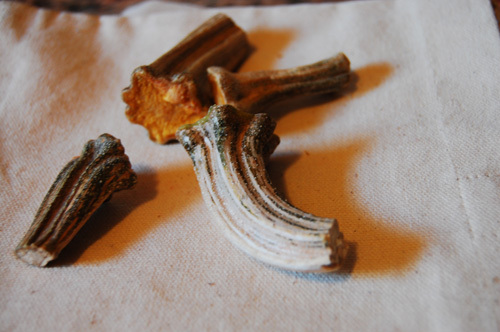 Which led me on my current quest to know more about identifying pumpkins for baking. (The whipped cream I made was also bad because I forgot to add sugar, but I was distracted by my soon to be niece Meredith and her spice-adding skills). So through meticulous internet and library research, I’ve learned a few things about pumpkins. 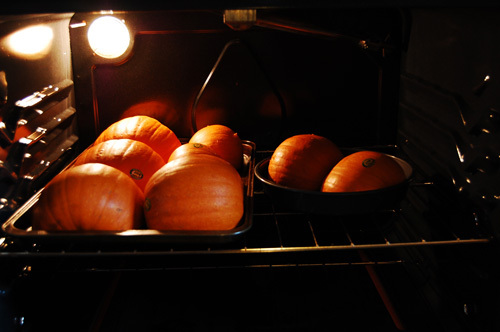 I’ve learned even more about pumpkins that are appropriate for baking. 1. 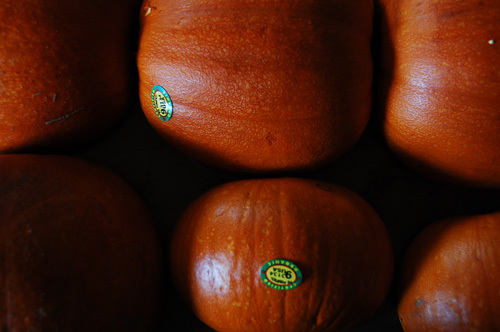 The best varieties of pumpkins to chose for baking are cinderella, sugar pie, pink banana (actually a squash), baby pam, cheese pumpkins, and lumina. You can also use butternut squash. 2. 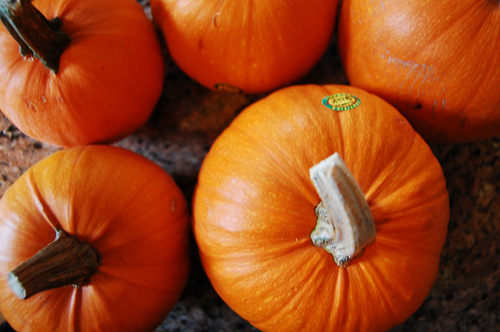 Pumpkins that are smaller and have darker skin tend to have more flavor. 3. The stringier the pumpkin, the less suitable for the pie. 4. Absolutely do not use your standard jack o’ lantern pumpkin. 5. Buy a few pumpkins, so you have plenty of pulp. 6. 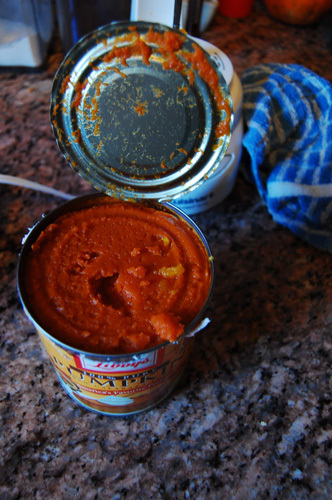 Just in case, you might want to grab a can of pumpkin puree. Worst case scenario you can go halfsies and mix the Libby’s in with your hard work. I also did an experiment with four different sugar pie pumpkins, two larger and two smaller. They all had the same color skin, but one had much darker pulp. I used a can of Libby’s (100% pumpkin) canned pumpkin as a comparison. Pumpkin #1: Small, light pulp. Smooth texture. Medium flavor. Pumpkin #2: Small, light pulp. Kind of chunky. Tasted like nothing. Pumpkin #3: Large, dark pulp. Very smooth texture. Flavor close to that of the Libby’s pumpkin. Incidentally, this is also the pumpkin I bought last week. Pumpkin #4: Large, light pulp. Smooth texture. Medium to a lot of flavor. 1. 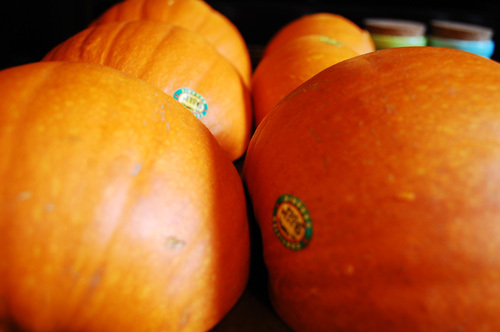 When it comes to sugar pie pumpkins, medium-large size have more flavor. 2. The darker the pulp, the more flavor. 3. There is no correlation between skin color and pulp color. 4. 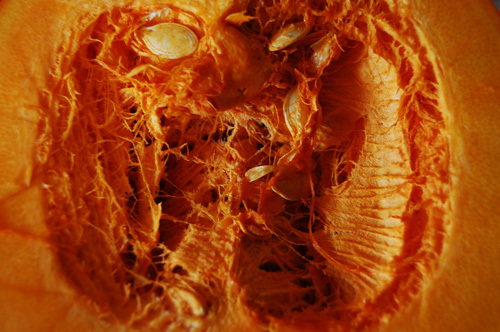 Pumpkins with smoother texture have more flavor. 6. I need a new can opener. I hope that, in some way, this helped with your quest to make the perfect pumpkin pie, from a fresh pumpkin. I don’t think what I learned will necessarily help me in the grocery store, but, we’ll see. Good luck!